A California 16-year-old was allegedly protecting his mother from physical abuse when he shot and killed his father. 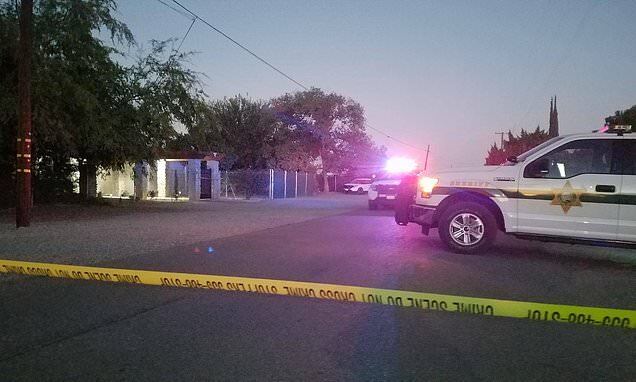 Javier Vera, 54, was found dead inside the family's home in Fresno on Saturday after his son called 911 to report a domestic violence-related injury, according to the Fresno County Sheriff's Office. The boy, who has not been named because he is a minor, reportedly told police that Vera had been drinking when he got in an argument with his wife and began to strangle her - at which point the couple's son fired the weapon. 'Deputies learned that the husband and wife had been involved in a verbal argument, which escalated into physical fight,' the Fresno County Sheriff's Office said in a statement Sunday.